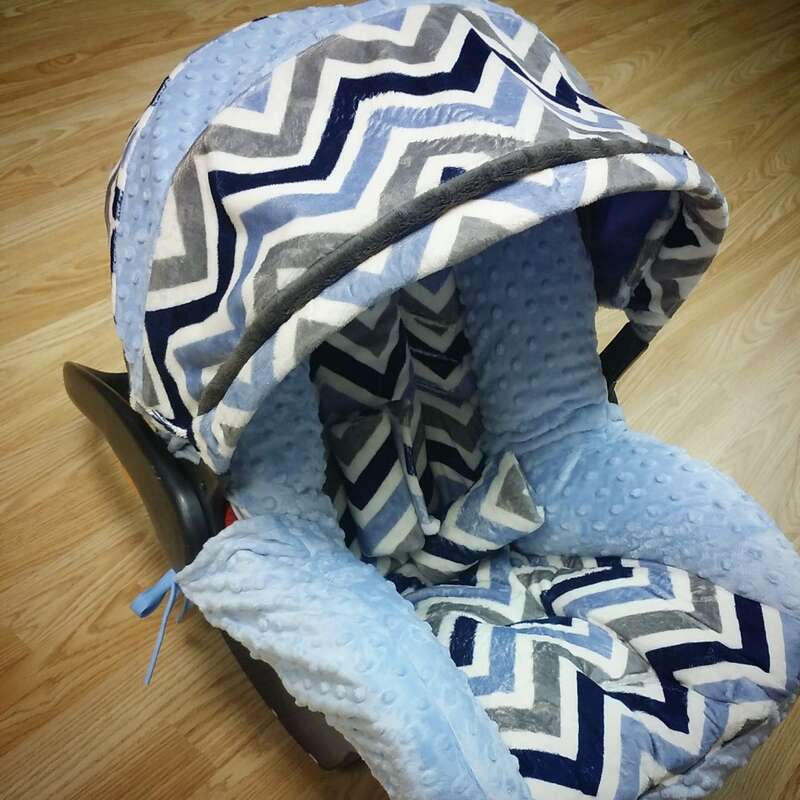 Blue, Grey, Chevron, Minky, Infant Car Seat Replacement Cover. You choose colors. This is a beautiful Replacement infant Car Seat cover made with only the finest fabrics. You design what color fabrics you want where, or order as is. This minky owl cover can be made with any of the solid minky swatches provided in my other pictures and we also have several animal fabrics available to choose from. For girls, we can add a satin ruffle to the canopy cover at no additional cost to you. Boys we add the cording as shown in our picture 2.